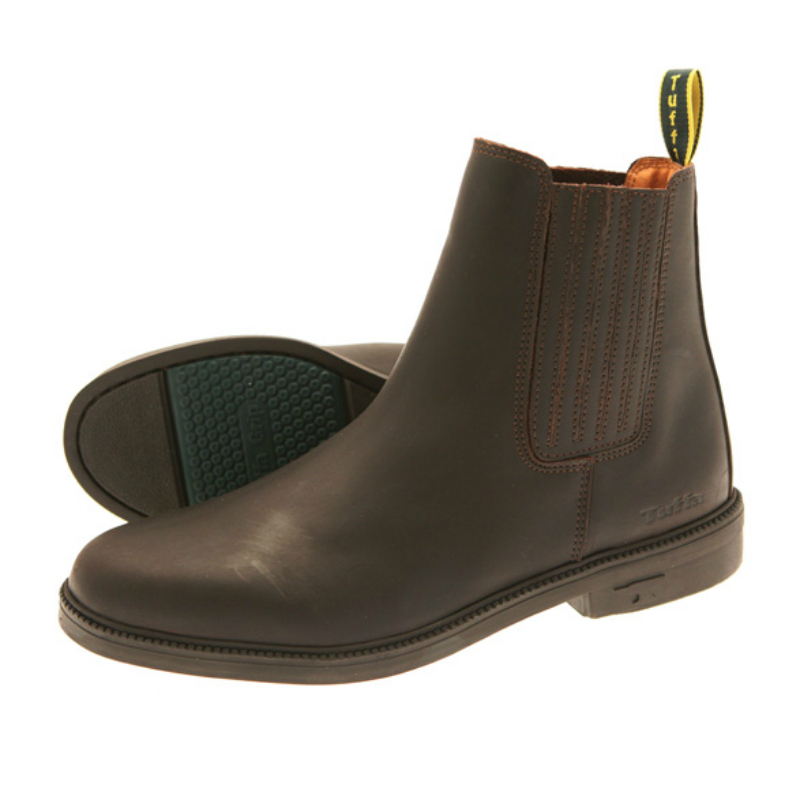 This versatile, smart styled boot has stood the test of time and still remains one of our most popular models. The strong, water-repellent, Nubuck leather upper, combined with a stitched on durable rubber sole, makes this boot outstanding value for equestrians who ride and work all day every day. 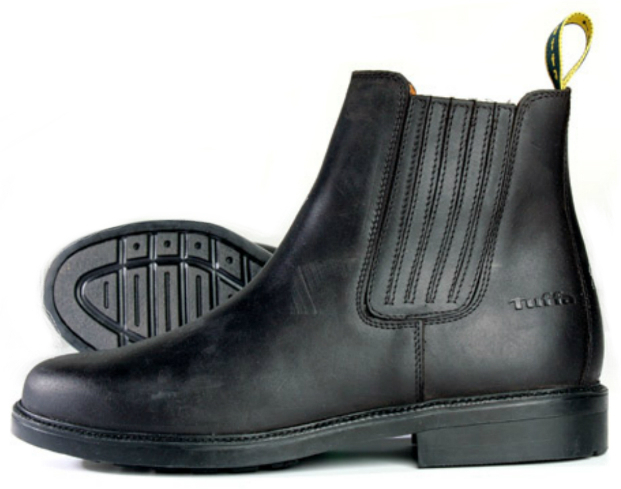 A jodhpur boot with a difference. The oiled leather upper gives a new look to our riding boot range. Covered elastic panels provide excellent comfort while providing an alternative appearance to the standard elastic panel. Hard wearing and extremely comfortable, which suits both average and wide fittings a must for anyone wanting something that little bit different. All Tuffa boots come with a 3 month manufacturer guarantee. 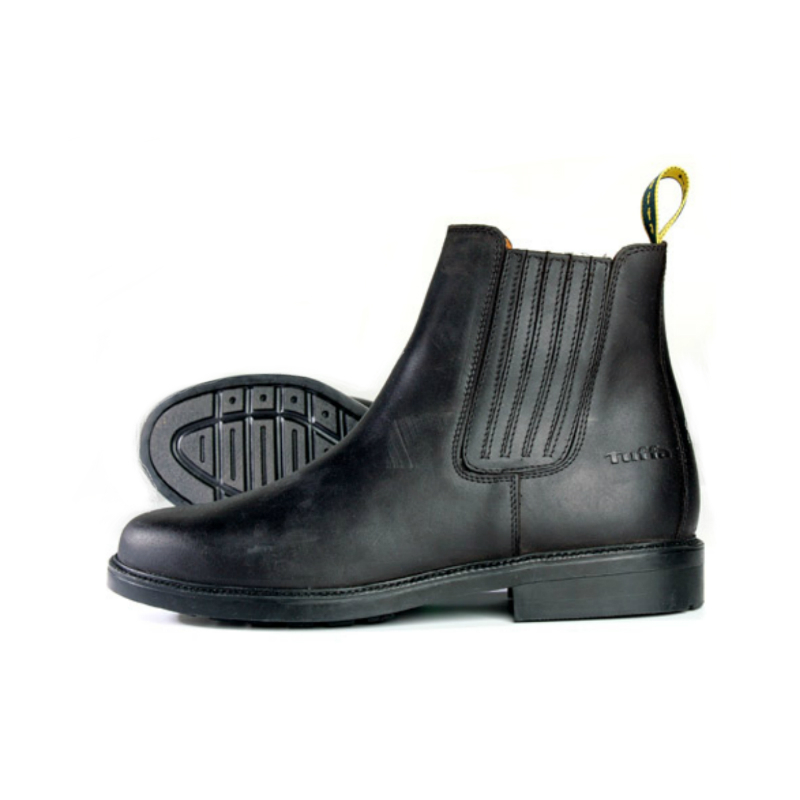 These boots partner perfectly with our Tuffa Grand Prix chaps. There are currently no questions for Tuffa Tipperary Riding Boots - be the first to ask one!